Cadre, an online startup which makes commercial real estate investments, recently expanded into Canada through the opening of a Toronto office focused exclusively on software product development. The Canadian office of the fintech firm is strictly for research, engineering, and product development and “we are not raising money or signing deals in the area,” says Raj Singh, director of product and head of Canadian operations at Cadre. Singh joined Cadre in December to run the Toronto office. Founded in New York City in 2014, Cadre has closed more than US $1.2 billion in investments. In January it announced the closing of a US $250-million investment partnership with Goldman Sachs which provides Goldman Sachs’ private-wealth clients access to Cadre investment opportunities. Cadre has also raised more than US $133 million from investors including Andreessen Horowitz, Jim Breyer of Breyer Capital, Ford Foundation, Founders Fund, General Catalyst, Goldman Sachs, Khosla Ventures, SL Green and Thrive Capital. Ryan Williams founded Cadre in 2014 with college friend Joshua Kushner and Kushner’s brother Jared Kushner, the son-in-law and adviser to U.S. President Donald Trump. (One of the Kushner Companies’ properties, at 666 Fifth Avenue in New York, has received extensive media attention for its debts of US $1.4 billion). The Kushner connection has led to a couple of controversies for the company. First, Kushner allegedly did not fully disclose his stake in the company in documents filed early in 2017, as required by U.S. law, when he became Trump’s adviser. Then Kushner Cos., operating as a partner with Cadre, was accused of misleading New York City authorities when Cadre bought, renovated and later sold three NYC buildings containing rent-regulated tenants according to a report by Bloomberg. Construction permit applications by Kushner Cos., did not disclose the buildings contained such tenants, which might have affected both the renovations and the subsequent sale, Bloomberg reported. The buildings sold at an 80 per cent premium to the purchase price. Cadre’s invitation-only platform allows high-net-worth individual and institutional investors to buy shares in commercial real estate at lower fees than are typical in real estate funds and REITs. For example, he says Cadre can segment and score markets based on expected growth and resilience compared with other markets. 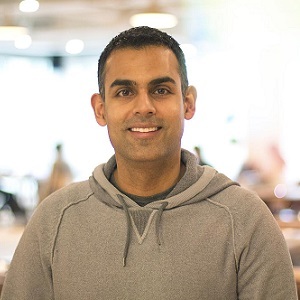 Singh has 15 years of experience in technology and commercial real estate and previously ran product management and marketing at the Altus Group after selling a software company he founded to Altus in 2014. He says Cadre’s technology team aims to make the most time-consuming aspects of commercial real estate investing as simple as a click of a button. The Toronto office is focused on research and building the product to make the platform better and faster for investors and operators, he says. Singh says Cadre is raising its Toronto profile by hosting several events with TechTo, a large technology meetup in the city that attracts hundreds of attendees, including engineers, entrepreneurs and investors to events. In June, Cadre opened its third office in Chicago. It’s headed by Dan Rosenbloom, a partner and managing director at Cadre, who has 22 years of industry experience, including positions at JP Morgan, Fortress Investment Group and GEM Realty Capital. “Chicago is known for its real estate market, and this is an opportunity to build Cadre’s presence in a centrally located market, which will provide even greater access to investment opportunities across the U.S.,” Singh says. EDITOR’S NOTE: This story was amended to clarify that Kushner Cos., not Cadre, filed the allegedly misleading papers with NYC authorities.